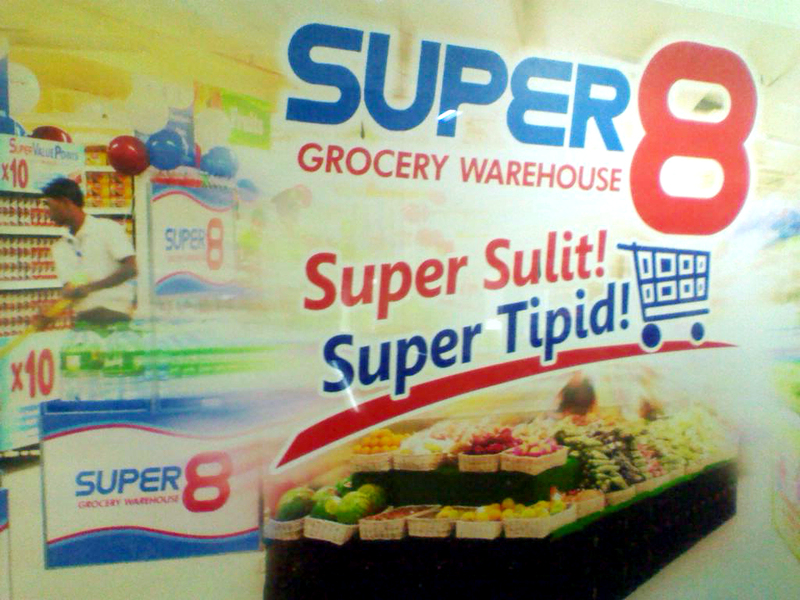 Move over Puregold, SM Hypermart, and S&R cause here comes Super 8 Grocery Warehouse. Here are four reasons why this new player will blow out competition. 1. Super 8 offers competitive prices – I run a tiny retail store and I know from comparing one receipt to the other. 2. 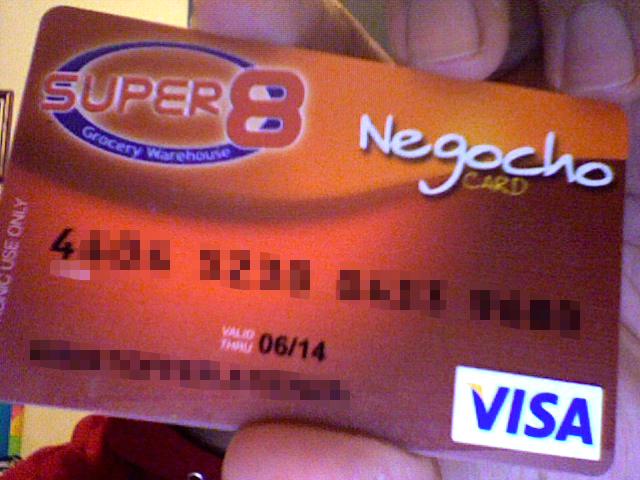 Negocho VISA card – Super 8 Negocho card has a VISA logo on it. It means the points you earn here can be used to buy stuff OUTSIDE their stores. That perks me up! 3. Easy to earn points – Just this July – I earned 100 points for shopping accumulated receipts worth Php10,000.00. I think Super 8 knows that other loyalty cards give users a hard time getting points. Imagine, Php250.00 = one point. That’s 60% less! 4. Easy to use points – Within days, Super 8’s Negocho VISA card turns your points to peso credits. Compared to one warehouse store, you need to undergo a process like signing up a form just to claim your points. That’s shopping inconvenience. Super 8 is fast becoming a love brand to me because of the logic and experience I got from shopping here. I enjoy Super 8, because of these: They offer sensible deals that, in return, makes shoppers want to earn those points; Their Negocho card (The VISA logo, is a clincher deal for me), and of course, the low price that allows consumers to want to buy more of the same item. 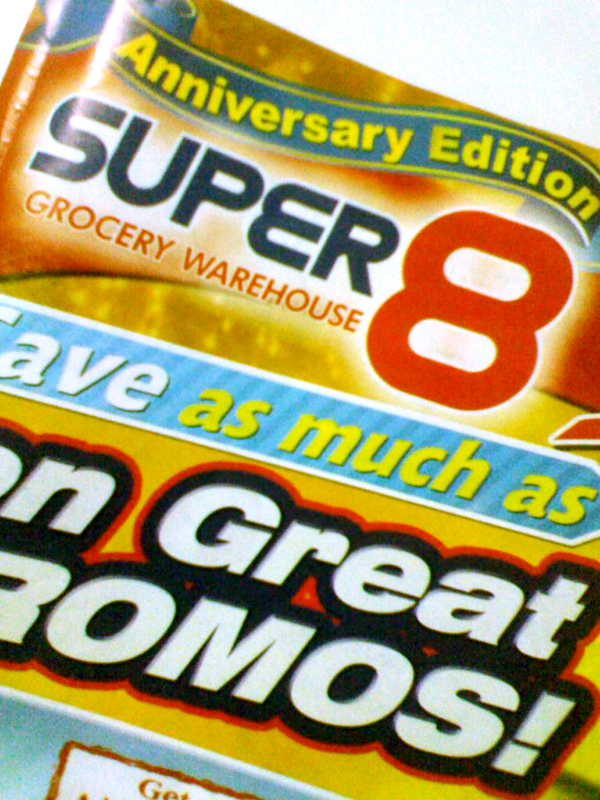 If Super 8 continues to offer more exclusive discounts to shoppers (or retailers like me!) then this grocery warehouse can count on my support for a very long time. Shopping here makes you better consumers. Click here to experience Super 8 today! can i avail a negocho card online? I’m not sure why you left me a message here. What is this for? Matagal ng expired ang negosyo card ko, d ko agag na renew kc naging busy ako s work, nung nakaroon nman ako ng time pra I renew ang card ko sb nila kinuha lahat ng RCBC mga names n member s negosyo card pero hanggang ngyon dipa na renew ang negosyo card kahit gustong gusto ko ng magkaroon ng bagong negosyo card. I suggest you get your Negocho card by RCBC and get your points. What I like about shopping in Super 8 are the freebies, which other stores never give so I continue to support Super 8.